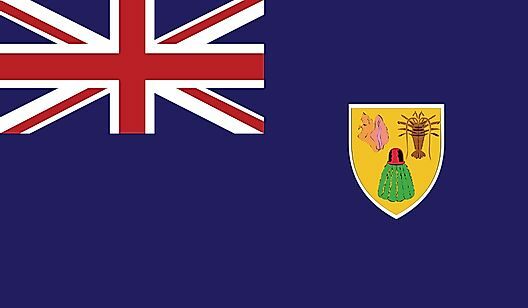 The current flag of the Turks and Caicos was officially adopted in 1968. As an overseas territory of the United Kingdom, the islands fly the (UK) flag. 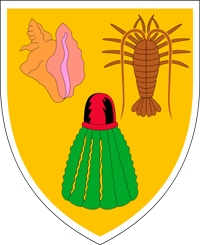 The coat of arms shield displays a conch shell and a crayfish representing the local fishing industry, and a flowering cactus representing local flora.